Life is good for Michael Schenker. The legendary German hard rock guitarist, whose melodic, tasteful playing has influenced some of the biggest names in the genre over the years, has a new album out, a tour in support of it, and a healthy dose of spring in his voice when he phoned in for a recent interview with ListenIowa. 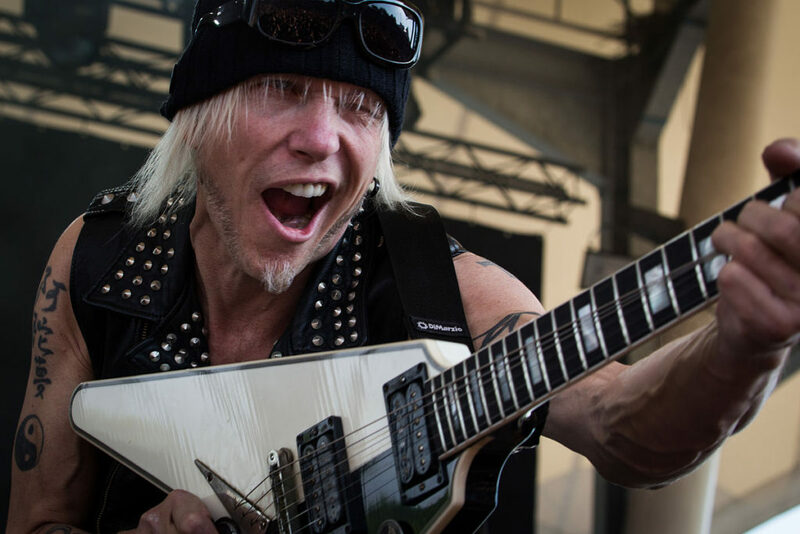 Schenker, who joined the Scorpions at the incredible age of just 15 and followed it up with a stint in UFO when he was 17, is as entertaining and musically productive as ever these days, more than four decades into his storied career. And while his journey has seen its share of peaks and valleys, especially in the early 2000s, Michael Schenker circa 2018 is a brand new animal. To hear him talk is to understand what artistry is — a place where dollar signs have no impact on his vision and musical integrity. Schenker has continually passed up cushy guitar slots with high profile artists that could have brought him millions over the years, choosing to go it on his own, greenbacks be damned. 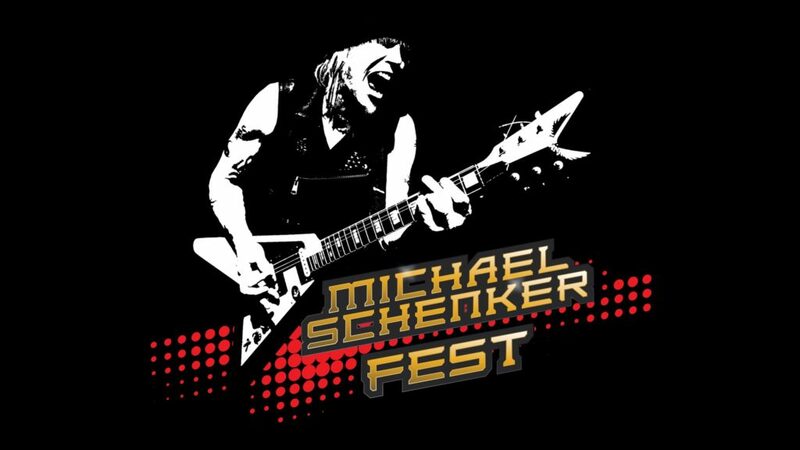 Schenker recently released a new album, “Resurrection,” under the moniker “Michael Schenker Fest.” The album features four singers who Schenker has recorded some of his most memorable material with in Gary Barden, Graham Bonnet, Robin McAuley and Doogie White. Not content to end it there, Schenker has taken the show on the road as well, teaming the vocalists with a backing group of long-time cohorts Ted McKenna (drums) Steve Mann (guitar/keyboards) and Chris Glen (bass). 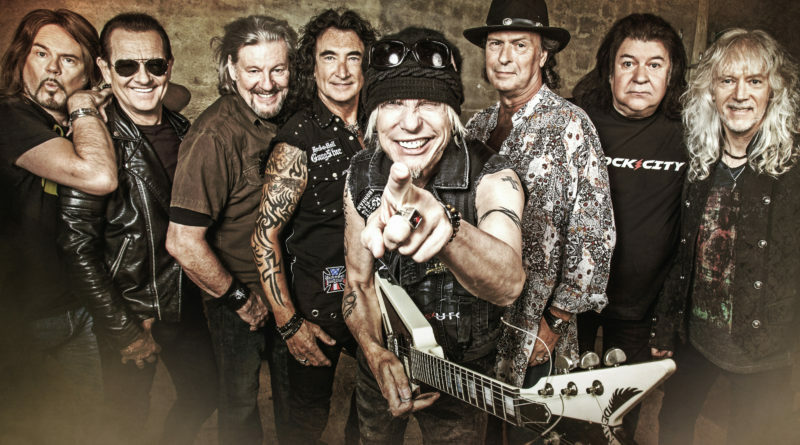 ListenIowa spoke with Schenker recently, discussing the new album, the tour, and some of the stops on his musical “journey,” among other things. Michael Schenker Fest will make a stop at The Cabooze in Minneapolis Monday night. 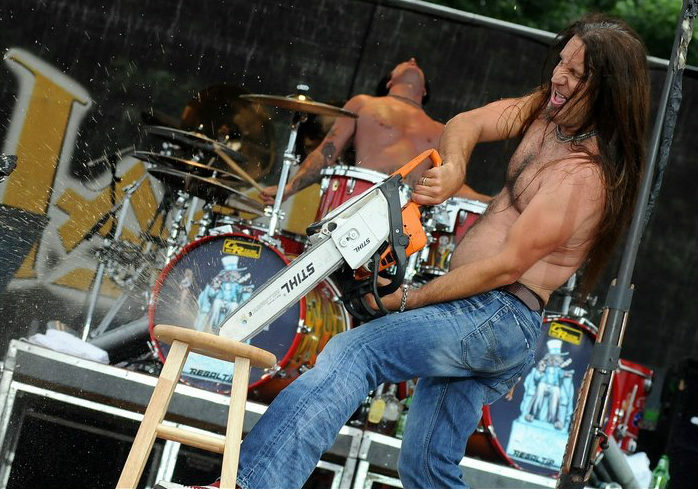 Opener Flipp will take the stage at 8:15 p.m.
Michael Schenker Fest is a bold undertaking. Not only did you put out a new album, “Ressurection,” featuring multiple singers, but you’re also taking it out on the road as well. Yes, this was a realization of another part of my life. 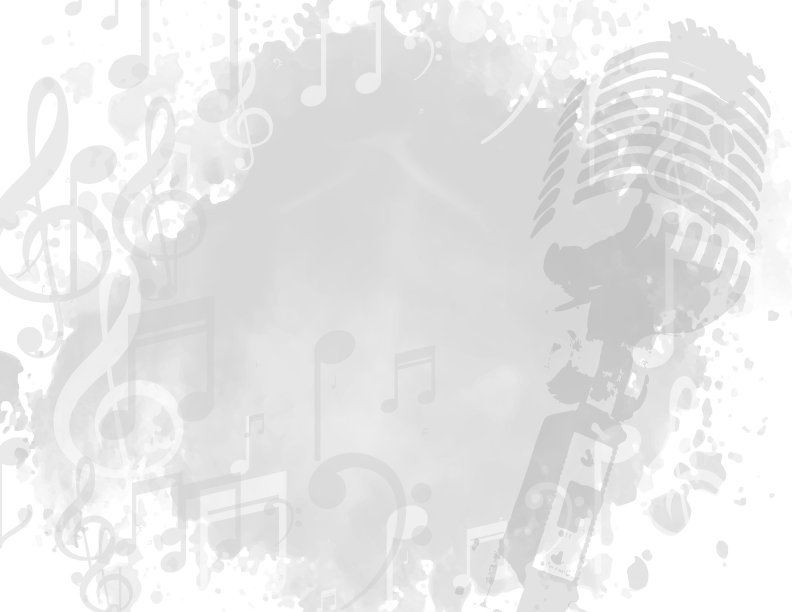 I had performed the most popular music of mine over the years with other singers, rather than the original ones. This is the third stage of my life, which is all about celebration, and it was time to do this with the original singers, the way it was actually created. I contacted Robin and Gary and Graham, and it was almost like they were waiting for my call. It was unbelievable. I put the band together and had a really good, connected set of musicians. We took it very slow and played festivals like Sweden Rock, and then even Japan Loud Park, with 33,000 people, called. I asked who was headlining the other night, and when they said, “Scorpions,” I told them I couldn’t do it. (laughs) But here we are, and Michael Schenker Fest is 2.5 hours of the best music of my career, performed by most of the original musicians, which is great and people are enjoying. Does “Resurrection” refer to everyone coming together to make this happen and showing the world that you still have something to offer? Well, it’s almost turned into kind of a Jesus story. (laughs) Doogie was writing the song “Take Me To The Church,” and our co-producer, Michael Voss, was writing a song called “Last Supper.” The first album cover idea I had for this was a studio party, but it looked like the actual Last Supper with Jesus Christ. (laughs) So I had to rethink the album title. Since we were pretty much back from nowhere, and everyone was off doing their own thing. During the second chapter of my life, I spent 15 years in the Arizona desert, building my recording studio. I was completely out of the loop of rock and roll. It was all about experimenting with music and learning about life. “Resurrection” is about doing the impossible and bringing that “family” back together. Everyone did indeed get together for the recording of the album, which is no small feat in its own. How did it come together organizationally? We started recording in May, and I knew exactly the way I wanted it and also wanted to make sure a few songs were together with the band. I told Michael (Voss) what I wanted to do, and he came up with the lyrics and the melody for “Resurrection.” I was so happy. That is such a great song. We were able to find a song that was suitable for everyone to sing. Then, with our second single, “Heart and Soul,” we had Robin singing, and we invited Kirk Hammett (Metallica) to jam lead guitar with me. That was exciting. The third single was “Take Me To The Church,” with Doogie White. And here we are. How much do the other band members contribute to writing an album being steered by Michael Schenker, whether it’s “Resurrection” or any of your past endeavors? You’re the visionary, and you seem to have always known exactly what you want. Their personalities, the chemistry between my tone and the way I do things, together with a singer, creates a chemical reaction. I basically know what I want. You have to start with a blueprint. If you want to build a house, you cannot just start building with 50 people having input in making the blueprint. You won’t know what it’s going to be. But I have a vision. I need the elements to be snappy, melodic and full of energy. And when the singers respond to that, there is a chemical reaction that is great. The art of lead guitar with pure self-expression has been a very important part of my life. I stopped listening to music when I was 17 years old. I knew what I wanted. Everybody can do that; it’s just that they choose not to. You mentioned Kirk Hammett earlier, who is one of the countless guitarists who cite your playing style as an influence. From your perspective, how do you view your contribution to hard rock guitar? In the first part of my life, in the 70s, I made a musical contribution, and then in the 80s, it became a trend that people copied, simplified and presented in a more commercial way. That was the time when my job was completed on the stage and the limelight. I had tasted fame and success in it’s fullest. I never asked for it; it came by itself. As a 23-year-old, after the “Strangers In The Night” album, and after I helped the Scorpions with the “Lovedrive” album — which opened the doors in America for them — I was able to make the decision if I wanted to stay and hold on to fame or split and start my second chapter. I was overloaded with creativity and wanted to experiment and explore acoustic instruments and all sorts of things that wouldn’t have been suitable for bands like Ozzy Osbourne, UFO or anybody. Those were big touring bands, and I wanted to experiment. There would have been a clash. But they didn’t understand that, because most people go for the commercial success. For me, it was about being an artist. When I joined UFO, it wasn’t about UFO, really. In Germany, the people didn’t understand what I was doing, and I knew I wanted to be somewhere where it would be. England was the place. I told the Scorpions that, and when UFO asked, I joined. I had told the Scorpions that if someone from England would ask me to join, I would. My journey has always been about my guitar playing. It started when I was 9 years old when I discovered what I could do with a single string. When I was 14, I was guitar hunting and going to festivals. There wasn’t a single song that I liked that didn’t have great lead guitar on it. (laughs) I call my whole journey, “play and discover.” I don’t call my guitar playing “practicing” like other people do, I call it “play and discover.” You have fun looking around and playing, and then you discover something, and it’s a piece of gold. That’s fun for me. You’ve had a number of projects over the years that have revolved around you creatively, but yet you’ve given them different band names, be it MSG, MacAuley/Schenker Group, Michael Schenker Fest, Michael Schenker’s Temple of Rock, etc. Why not just keep it simple and use “Michael Schenker” each album? It’s based on circumstances, really. I can’t look into the future and know what is going to come, so I just live in the now and take it as it comes. The second chapter and black and white guitar, for instance, marked an era of my life in which I wanted to do things in my own timing and think of things on a smaller level, so I looked for a singer that would fit, and it happened to be Gary Barden. Nice guy, easy to work with. I wanted to take it slow, take it easy, and just have fun playing, even though Peter Mensch (one of the most famous and successful managers in the industry) was involved, who wanted to do big business with me. I was just playing around basically. I did not try to build a perfect thing that would make me millions of dollars and put me at the top of everything. And that way of thinking wasn’t a good match for Mensch’s methods. Because I wasn’t doing commercial music and couldn’t keep people on retainer, when it came time to do the next thing and they weren’t available, I had to look for other people. The other thing was that Peter Mensch wanted to get me back to the top. He put a super band together with David Coverdale, who wanted Cozy Powell, Chris Glenn and myself in his band. And I said to Peter, why doesn’t he (Coverdale) just join MSG? Basically, what I was trying to avoid, he was trying to put me back into. But of course, David Coverdale didn’t join MSG, and I never joined David Coverdale. With MacAuley/Schenker Group, it was no longer just you at the helm. Was that difficult? When MSG fell apart, I had the desire to find a singer to share the responsibility with 50/50. I wanted to keep the MSG logo, so I told Robin he could have the “M” for “MacAuley.” (laughs) It didn’t matter to me. It was all about having fun and playing around. I put a whole new band together, and we had other people involved in songwriting, so it became something slightly different. That included my guitar playing as well. I was evolving to get more things out of the inside of me and who I was, little hidden characteristics that I wanted to come out. When we did MacAuley/Schenker, I was into a little bit faster playing and picking. It was a little more commercial, but it was very successful, especially in America. We moved to Los Angeles, and we had Jeff Pilson (Foreigner, Dokken) and James Kottack (Kingdom Come, Scorpions) playing with us. I joined Ratt briefly during the off time, and I also joined Contraband, which was also a pretty good project, but it fell apart quickly because of a problem between Traci Guns (L.A. Guns) and the singer, Richard Black. Eventually, Robin and I made another album, but it was controlled by Left Bank (management company), and it just wasn’t what I thought it should be anymore. Things happened, and I just kind of split and moved to Arizona. A less-publicized endeavor of yours took place in 2004 when you brought together Aynsley Dunbar on drums, Gunter Nezhoda on bass, and Davey Pattison on vocals for the “Endless Jam” album, the first of two. You’ve mentioned in other interviews that you had a bad case of stage fright that you were able to overcome. I lost my stage fright in 2008, and I took that as a sign. I wrote the song “Into The Arena” when I started the second part of my life. It really was like that. (laughs) It was the battleground. But when I lost that, it was a sign that it was time to be back in the loop and carry on. And I have.